Deodorizer. Clean & Polish. Pure Essential Oils. Family & Pet Friendly, Fresh Scent. 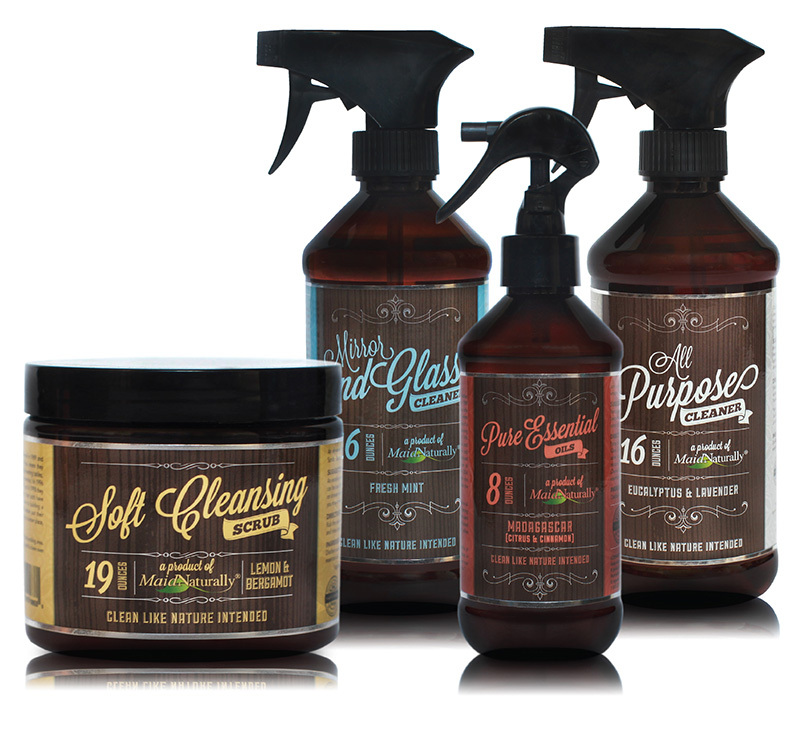 This is our all natural polish and deodorizing cleanser. (Citrus and Cinnamon) Deodorizer. Clean & Polish. Pure Essential Oils. Family & Pet Friendly, Fresh Scent. Suggested use: Kitchens, bathrooms, dusting & cleaning floors. Use as an air and fabric freshener along with cleaning light switches, handsets and other household fixtures. Directions: Spritz 5-7 times on a micro-fiber cloth for the desired amount of fragrance and shine. For Floors: Spritz 10 times into a diluted mixture of 1/2 gallon water and 1/8 cup of “Maid Naturally’s All Purpose Cleanser”, and wash as usual. No need to rinse. 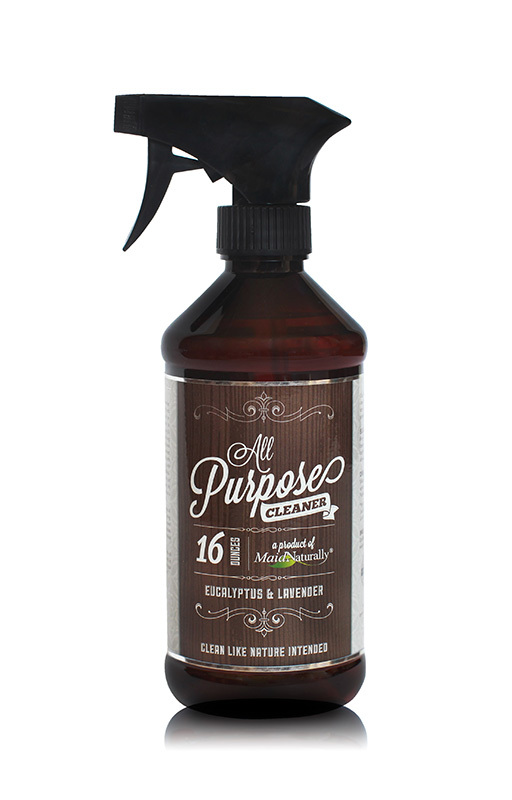 Our all purpose cleaner can be used on any area in your home or business to clean. Suggested use: Floors to Ceiling! Great for Kitchens and Bathrooms, walls, countertops and baseboards. This includes our All Purpose cleaner and our Mirror and Glass cleaners. You can clean just about everything in the house with these two products. The soft scrub is such a unique product, you can remove marker from walls, tile and countertops with it. This festive blend is reminiscent of long summer strolls, sunshine and joyous opportunities that spring and summer bring.